You've set the date and made your guest list. It's time to send the invitations. Calendars fill up fast around the holidays, so be sure to send them at least three to four weeks in advance. There are numerous online services for creating your special invites. 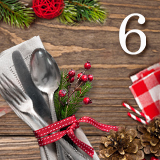 Choose a holiday party menu for which many of the items can be made ahead of time. Some appetizers and desserts can be made and frozen several weeks in advance. Other recipes can be mixed together a few days before and stored in the refrigerator. On the day of the party, you can simply bake and finish them, leaving time for you to get dressed in your holiday best. For the beverages, wine and beer are always crowd pleasers, but you may want to consider instead, a festive fruit punch for the non-drinkers and a signature cocktail. That way you won't need to stock a full bar. Decorations can be as elaborate as you have the time and budget to create. But if you'd like to keep it simple, create a lighting concept with candle glow and bright metallics to reflect the light for a festive feeling. Focusing on one or two colors can tie it all together. A Christmas toast adds a merry touch to the festivities. and have all you wish as long as you live. This is my Christmas Wish for you." "Joy to the world-and especially to you." God bless us every one!" Nothing sets the mood like holiday music. Create your music playlist ahead of time, mixing traditional favorites by Bing Crosby and Nat King Cole with party tunes, such as "Grandma Got Run Over by a Reindeer," and "I Want a Hippopotamus for Christmas." Also consider holiday radio stations, your cable providers, and online streaming for music stations that include a "Sounds of the Season" offering. 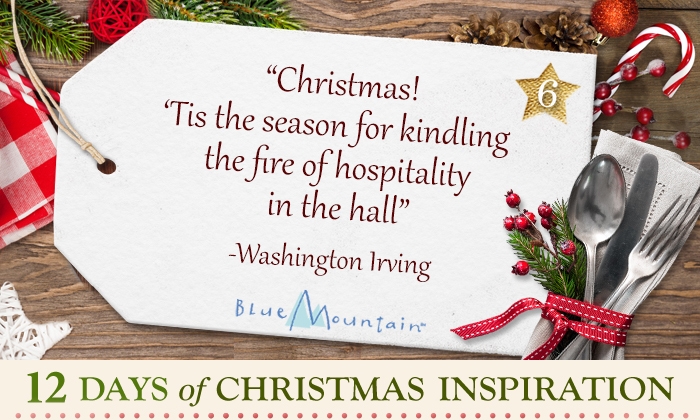 Time to Get Your Merry On! As you greet your guests and take their belongings, introduce people by pointing out what they have in common. Accept gifts graciously and make sure everyone finds their way to the treats. Try to relax and enjoy your party. And remember, "old Christmas comes but once a year." 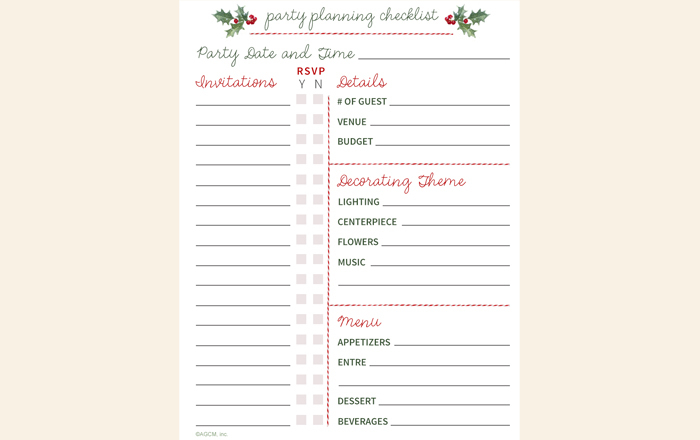 With the right amount of planning and organization, throwing a holiday party can be a great, festive event. 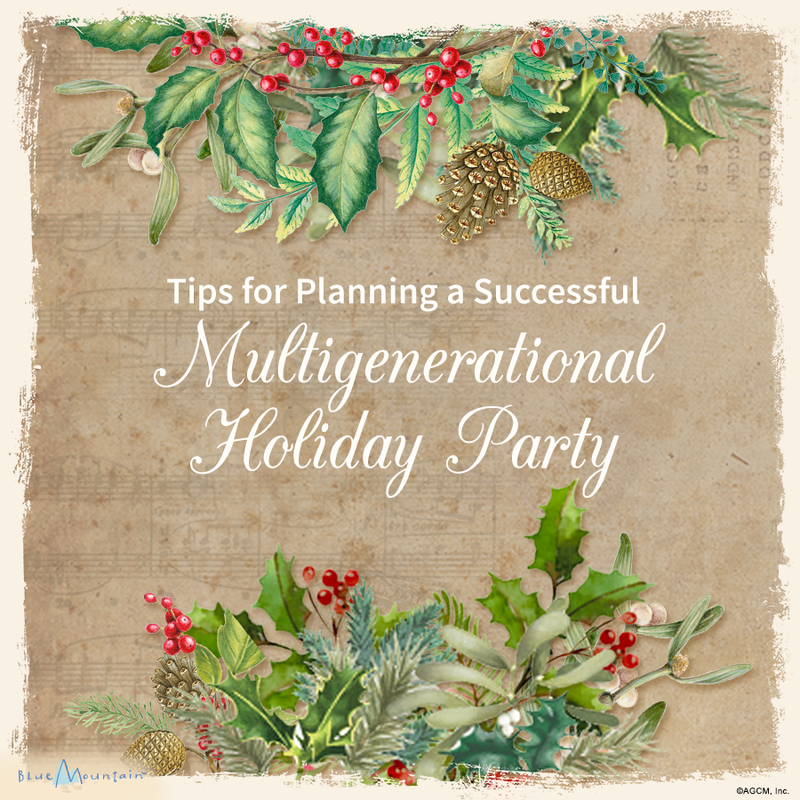 Many holiday parties, especially ones that are made up of family, and extended family, include people of all ages. You may suddenly find yourself rethinking your tried-and-true party plans. Don't worry. BlueMountain.com has come up with some great suggestions that will have everyone feeling included — from seniors, to babies, and everyone in between. 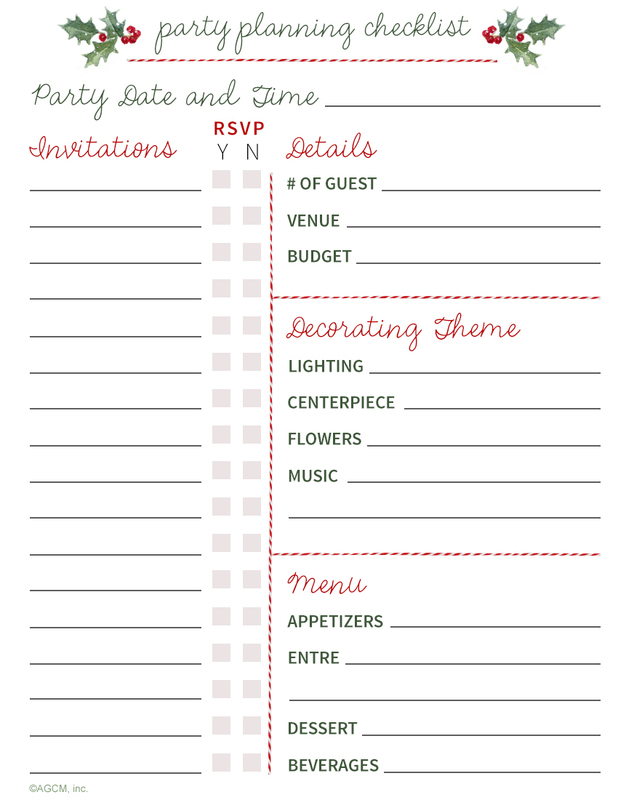 Decide if the party you're throwing will require formal invitations, or if a Facebook invite, or phone call will do. Try not to make the party too late. Parents will appreciate that you've accommodated bedtime for the kids, and the older folks will appreciate being able to travel in daylight. Keep the food simple and make sure to include kid-friendly favorites if little ones will be in attendance. It's also a good idea to have vegan and/or gluten-free options, and think about having a few choices that don't include nuts or shellfish due to some common allergies. Seating might be a topic you wouldn't pay much attention to, but if there will be people at your party off all different ages, this is a must. Make sure chairs are comfortable, have a few highchairs or booster chairs on-hand, and have some blankets and pillows around so everyone can get comfy after dinner. Play a variety of styles and genres for both young and the young-at-heart. Try setting up a special area for kids that is stocked with games, toys, crayons. If you have a separate TV or tablet the kids can watch, be sure to have some age-appropriate games and movies loaded and ready to go. When it comes to the adults, board games, chess, decks of cards and yummy snack will keep everyone entertained. 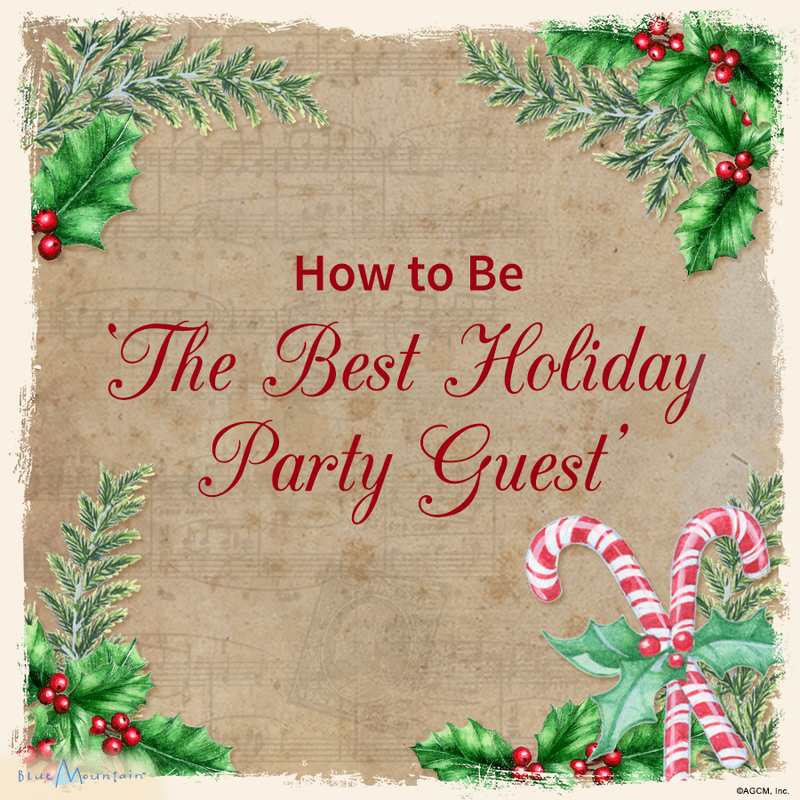 You're no stranger to hosting holiday parties — maybe you've been the one throwing them for the past decade. But this year, what do you do if you find the roles reversed? It can be uncharted territory for sure, but we're here with a list of helpful tips that will keep you feeling needed and useful, while also allowing yourself to relax for a change. RSVP — RSVP, which stands for Répondez S'il Vous Plaît (French for "please respond"), means exactly that: respond. And be sure to respond before the deadline on your invitation, not after. It's ok to send a text or Facebook reply, but it's absolutely not ok to pull a "no-show." Contribute — Making a courtesy call to the hostess ahead of time is just that: courteous. Offer to bring an appetizer, salad, or dessert. If the hostess is firm about having the meal under control, then offer to bring wine, Champagne, or a centerpiece. If rebuffed again, be sure to just quietly bring a nice hostess gift, such as a bouquet of flowers, a box of chocolates, or a jar or artisanal preserves. Arrive on Time — Even if you're tempted to arrive early, don't. The hostess may still need time for last-minute preparations. Instead, plan to arrive within 15 minutes of the invited time. If you're right on time but no one else has arrived yet, offer to help. However, if you're running late, get lost, or have an emergency, be sure to call immediately and explain. Converse & Enjoy — Get into the party spirit by smiling, mingling, and conversing with the other guests. It's also important to be a good listener. However, don't dominate the conversations, especially with your problems, and avoid all bad language, off-color jokes, and controversial topics. Instead of asking overly personal questions (which is a huge no-no), ask more neutral questions instead, such as "How do you know the host?" Eat & Drink Responsibly — Don't come to the party famished and ready to devour everything in sight. If hors d'oeuvres are being passed, don't heap your plate with them. Absolutely no double dipping! And of course, do NOT become inebriated. Help Clean Up — Before leaving the party, offer to do the dishes. If the hostess refuses, at the very least, stack dirty plates, throw out empty bottles, and clean up any huge messes. Don't Overstay — When you see the party starting to wind down and conversations hitting a lag, it's time to go. Be sure to genuinely compliment the hostess when saying your goodbyes. Send a Thank You Note — Within a few days of the party, always send a note of thanks to the hostess. And despite what your grandmother told you, a Thank You eCard is perfectly fine!